Born in the image of heaven and earth, the human being is the noblest being in all existence. 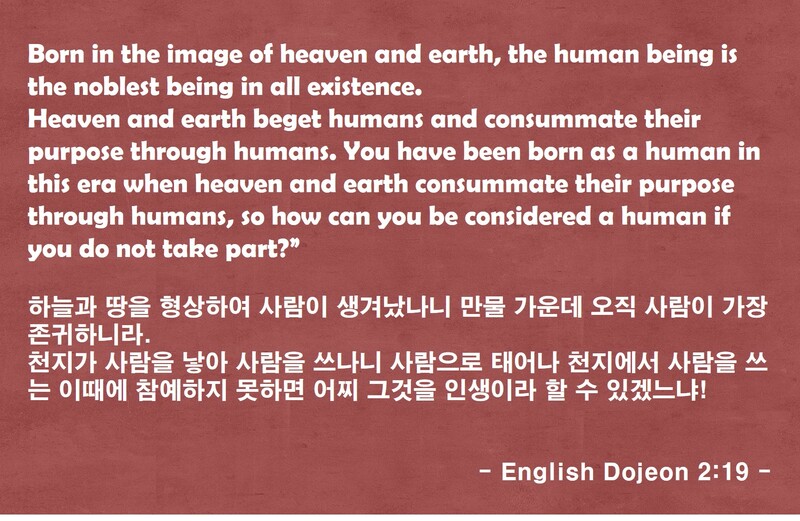 Heaven and earth beget humans and consummate their purpose through humans. 천지가 사람을 낳아 사람을 쓰나니 사람으로 태어나 천지에서 사람을 쓰는 이때에 참예하지 못하면 어찌 그것을 인생이라 할 수 있겠느냐! To beget something means to cause it to happen or be created.